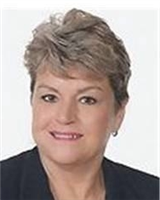 Fern Reiker, certified REALTOR® and Broker/Owner with RE/MAX Select Group bids you welcome to the DuBois tri-county area! Fern deals with buyers and sellers alike, serving Clearfield, Jefferson and Elk Counties and specializing in properties in DuBois, St. Marys, Punxsutawney, Treasure Lake and Brookville. Holding the REALTOR® distinctions ASR®, CRS, GRI, Fern has met and exceeded the legal requirements of her profession, raising the bar on her skills, certifications and training to best meet the needs of her clients. Fern contracts in a broad range of property types, which include luxury, waterfront, secondary residences and vacation homes, as well as land lots, new home or custom built constructions, and investment properties. Planned and lifestyle communities, such as golf course communities, equine communities and active adult communities are met with the same level of skill and detail as first-time home sales, residential properties, resale and rentals. Homeowners in need of foreclosure avoidance options, short sales and foreclosure sales are treated with dignity, compassion and expedience. You can also Search the Entire MLS for properties all over the DuBois Pa area! You will find a wealth of useful real estate information for home buyers and sellers at my DuBois Pa real estate website! Before you buy or sell a DuBois PA area or Treasure Lake home, be sure to view the market information found here. From first-time home sales to relocation and financial options, Fern Reiker knows that theres a dream home waiting for you in the DuBois tri-county area and she invites you to come home and enjoy a lifestyle to treasure here by the lake. DuBois is considered the commercial retail center and is the hub of the micropolitan area of north-central Pennsylvania. Nearby towns and boroughs St. Marys, Punxsutawney, Treasure Lake and Brookville are, like DuBois, convenient to the greater metropolitan Pittsburgh area but decidedly rural and pastoralyoure close to everything while being away from it all. Our communities have roots in lumbering, factories and breweries, with DuBois Brewing and Straub Brewery originating in our area. The region was also involved in the railway transport of coal and timber, as well as briefly being home to the Twyford Motor Car Company. Today, The Pennsylvania Wilds is known as a sportsmans paradise and lakeside destination for vacationing, leisure and a semi-rural quality of life without sacrificing the conveniences of the city. The communities are progressive in their approachthe former site of DuBois Brewing has become the future site of a women's health center on the lot, one of many services the region offers its residents that increase the quality of life. Historic sites and places of interest are eclectic and vibrant: from Decker's Chapel, the smallest chapel in America to St. Joseph's Monastery, home of the Benedictine Sisters of Elk County or a visit to Punxsutawney Phil, the groundhog said to predict the weather annually on Groundhog Day, our communities are closely-knit yet welcoming and full of unexpected gems. Our area is culturally diverse, building a reputation of excellence in local entertainment and the arts. The Winkler Gallery, Reitz Theater Players, Paul G. Reitz Theater and Cultural Resources Inc. host a number of art exhibits and theatrical productions and performances for residents and visitors to enjoy. 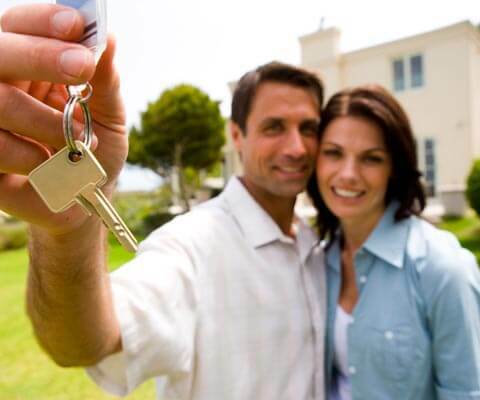 Buying a home in DuBois PA? 18 highly regarded area school districts serve our 3 counties. Indiana University, Clarion University, North Central Industrial Technical Education Center, Lock Haven University, Pennsylvania State University, Clearfield County Career and Technology Center, Dubois Business College and Triangle Tech offer residents the opportunity to advance academically and in their careers. Our region is the heart of Pennsylvanias elk country and is a nature lover and sportsmans paradise. Wild elk and game hunting, trout fishing and any number of outdoor activities are available, including trout streams and state hunting lands inside the city limits. Clearfield County is home to the Quehanna Wild Area, Pennsylvanias largest wild area. A major feature of the areas geography can be found in the massive sandstone megaliths and exposed sandstone bedrock at Bilger's Rocks in Bloom Township. Nearby state parks include Clear Creek State Park, Cook Forest State Park, Bendigo State Park, Elk State Park, Parker Dam State Park, and S. B. Elliott State Park are ideal for hiking, biking, bird watching and geocaching; with canoeing, kayaking and fishing on the streams, rivers and lakes, theres activity to be found by land or by water in the Pennsylvania Wild. Whether hunting for elk or hunting for antiques, golfing on the greens of Treasure Lake or cheering for the Pittsburgh Pirates, having a cold brew at Straub Brewerys Eternal Tap, donning a top hat and tuxedo with the Inner Circle celebrating Punxsutawney Phil and Groundhog Day or simply enjoying the rustic beauty of the wild terrain of our area, let Fern Reiker help you find your dream home in the Pennsylvania Wilds and discover a lifestyle to treasure!